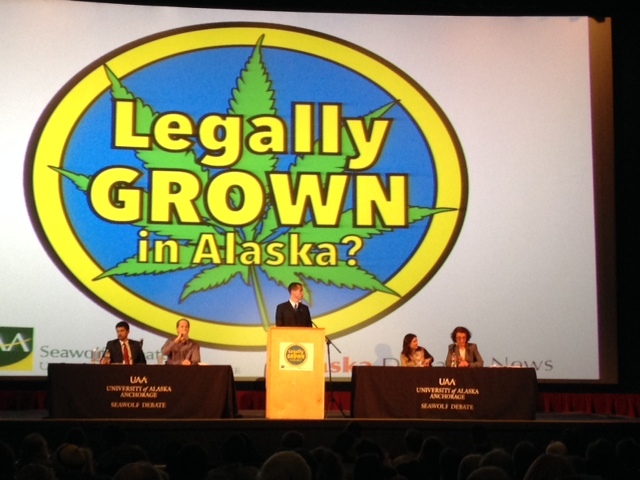 A few months ago I attended a debate about marijuana legalization in Alaska. It was moderated by Steve Johnson, the coach of the University of Alaska-Anchorage’s award winning debate team. Both sides had the opportunity to share their views, ask questions of each other, and answer questions from the audience. It was an intelligent, informational, and – above all – refreshingly civil event. Don’t get me wrong: there was no kumbaya moment and the two sides clearly and vehemently disagreed with one another. But they left the name calling at home, and were able to disagree with respect and class. I love a good debate, but I absolutely detest the toxic climate of today’s media and politics. Anchorage has some horribly polarizing radio talk shows, and a quick scan of the comments in the Anchorage Dispatch News makes me wonder if there is a minimum IQ requirement to participate. Sadly, I know we are not alone. What has gone so wrong? How did we get to the point where hate speech is considered journalism? How did the lines between entertainment and information get so blurred? I worry what our polarizing media is doing to this country. Even in the age of electronic balloting, many elections are simply too close to call on election night. No matter who ends up winning, you essentially have half of the voting public greatly disappointed. They are at best disenfranchised and at worst poisoned with anger. Not ideal. Rarely are issues black and white, so I appreciate when media coverage considers the gray. Many people proudly identify themselves as either Republican or Democrat, but they shouldn’t feel like traitors if they see valid opinions from the other side of the aisle. My dream isn’t so much that we all agree on everything. Clearly that will never happen. Instead, I hope we can leave the caustic comments at home and turn off the talk show hosts who profit by spreading hatred and fear. I hope we can learn to disagree with civility: in our politics, our friendships, our families, and our marriages. When I left the debate, I still wasn’t sure how to vote about marijuana legalization in Alaska. But I was armed with more statistics, perspectives, and research that helped me make an informed decision. And perhaps more importantly, I left with a renewed sense of faith in the public process and the possibility of more civil discourse in the future.